At BloomBack, we believe that flowers can be used as a tool to advocate a movement that benefits underprivileged communities, with a special focus on marginalised women, by helping them achieve financial independence and dignity. We have also introduced a high impact innovation through the use of technology to extend the life span of flowers to reduce flower wastage and bring lasting smiles. Explore how BloomBack can bring value to you AND how you’ll be paying this forward to others around you! 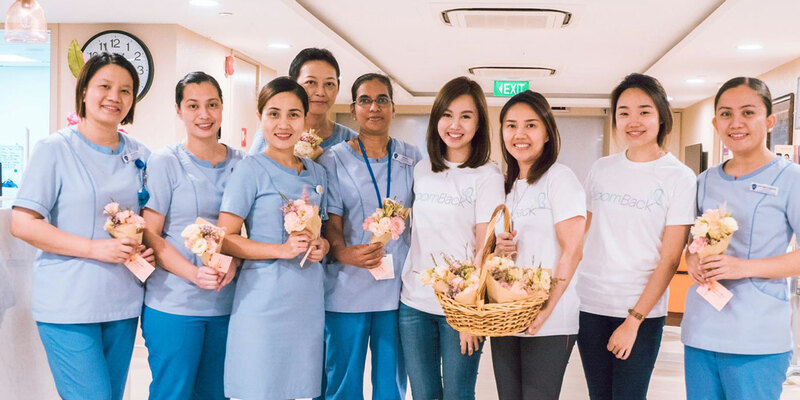 Engage in meaningful community giveback programmes through floral related team bonding activities with us! Impress your partners and clients with a unique and environmentally-friendly souvenir. Distribute used flowers from events to hospice patients and lonely old folks.